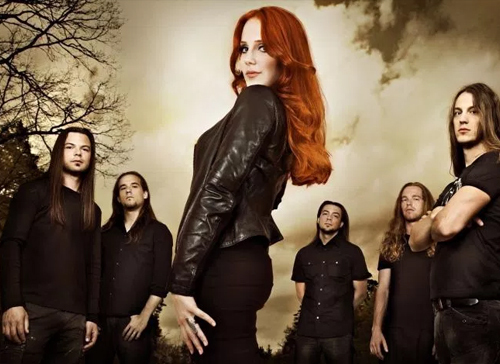 Epica is a Dutch symphonic metal band, founded by guitarist and vocalist Mark Jansen after his departure from After Forever. In 2003, Epica's debut album The Phantom Agony was released through Transmission Records. Consign to Oblivion followed in 2005, and debuted at No. 12 in the Dutch charts. They moved labels to Nuclear Blast following Transmission's bankruptcy, and in 2007, released their third studio album The Divine Conspiracy, which charted at No. 9 in the Netherlands. 2009's Design Your Universe was met with yet greater success, debuting at No. 8 in the Dutch Albums Chart, and charting across Europe.